Elle est née le 29 Décembre 1972 à Frydek-Mistek en République Tchèque.En 1990 Elle obtient un diplôme de fin d’études de violoncelle, au conservatoire d’Ostrava. de Brno -musicologie et esthétique. 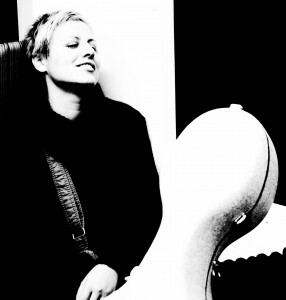 (née Blahutová), cellist and singer, born 22.8.1975 in Třinec (The Czech Republic). Cellist’s singing career began shortly after graduating from the Ostrava Conservatory (field: playing the cello, 1989-95). For two years she worked in the music group of a guitarist Tomáš Maňas Lippany, composed and interpreted the music to the French Theater FF MU in Brno (1996-98). In the years 2000-2002 she played in the band of Jiří Hradil Chorchestr (funky-beat-jazz), with whom also participated in the CD Arabigbit (Indies Records 2002). Since 2002-2006 played with the band Jiří Starý Asyl Akt (electro-acoustic-trip). Between the years 2004-2007 she was a dramaturg in the music jazz cafe Podobrazy. Bárta). Cooperates with the Brno theater Neslyším in performances directed by Zoja Mikotová. She was awarded the third prize of Thalia in the theater‘s season 2003 for the music to theatrical performances Dům Hluchého („House of a Deaf“, Dorota Barová and Zdeněk Kluka). In 2006 she composed and recorded music for the film «Marta» directed by Marta Nováková. Both violoncellists have been keen on music since their childhood (conservatory, studying musicology, different musical projects), but only when they met in Brno in the year of 2000 duo Tara Fuki could be born. 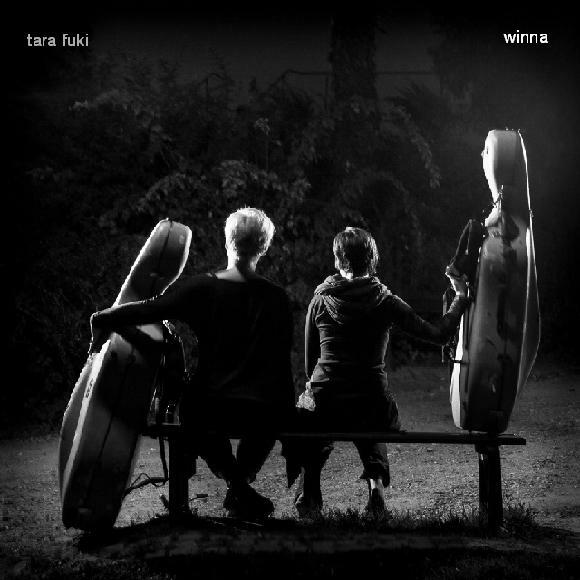 Tara Fuki music is absolutely racy and unique (it is based on common improvisations which are then continually elaborated), delicately dynamic and rich in its expression. Enriched by reflections of different musical styles with the flavour of distant lands, it creates an original kaleidoscope of the feminine inner world. Since its creation Tara Fuki have been successful all over Europe (Czech Republic, France, Germany, Italy, Austria, Sweden, Poland, Slovakia, Russia, Ukraine, Yugoslavia, Rumania, Holland, UK and other countries) and Central America. In 2001 Tara Fuki was awarded by the Czech Academy of Music in the categories “Alternative Music – World Music” and ” Break-through of the Year” and in 2007 in the category “World Music”. Since its creation Tara Fuki have been successful all over Europe (Czech Republic, France, Germany, Italy, Austria, Sweden, Poland, Slovakia, Russia, Ukraine, Yugoslavia, Rumania, Holland, UK and other countries) and Central America. In 2001 Tara Fuki was awarded by the Czech Academy of Music in the categories “Alternative Music – World Music” and ” Break-through of the Year” and in 2007 in the category “World Music”. In 2007 Tara Fuki was the first Czech band to perform on the international Womex festival in Seville. In 2016 the duo performed on the Cairo Jazz Festival in Egypt.